Unfortunately, we hear about it all too often: news reports about a guest being abducted at a shopping center, parking garage, movie theater or some other place of business. While these are criminal acts, the business owner may also bear responsibility. Under Tennessee law, business owners have a duty to take reasonable measures to protect their customers from foreseeable criminal attacks. So what does that mean? If there have been prior criminal incidences on the property or in the immediate vicinity (the immediate vicinity has been defined as a 1 mile radius by some courts), the business must take reasonable action to protect its customers. In some cases, a reasonable step might mean installing security cameras or better lighting. In other situations, a reasonable step might be hiring a security guard to patrol the parking lot. If the business owner should have taken action but failed to do so, then they may be responsible for all damages flowing from the criminal act such as medical bills, lost wages, counseling to help deal with the emotional aspects of an attack, pain and suffering and so on. At The Law Offices of John Day, P.C. we know how to investigate and win these types of cases. 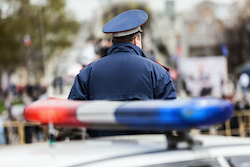 We work with the local police department to pull crime analysis reports for the property where the crime took place, and we work with sophisticated security experts who can help explain the inadequacies of the property's security to a judge or a jury. Because of his experience, John Day was recently asked to speak to crime victims advocates at a seminar sponsored by The National Center for Victims of Crime. So if you or a loved one has been the victim of a kidnapping or abduction at a place of business, do not assume you have no remedy for your damages. Instead, contact one of our experienced lawyers who will sit down with you, review your case, answer your questions and advise you of your rights. It is not necessary for the criminal assailant to be captured before proceeding. But, the law only allows you a limited time to pursue your rights so please contact us today by calling 615-742-4880 or toll-free at 866.812.8787 or by completing this online form. We only get paid if we recover money for you.